The term “neonatal hepatitis” simply means inflammation of the liver in an infant. Thus, neonatal hepatitis may be a symptom of many types of liver disease that affect infants. Often, however, the term neonatal hepatitis is used as a diagnosis, replacing or used interchangeably with “idiopathic neonatal hepatitis” to describe inflammation of the liver occurring in early infancy that cannot be attributed to a specific known cause of liver disease. The information on this page describes neonatal hepatitis when it is used as a diagnosis. The causes of neonatal hepatitis are not well understood but possibly include virus infections, the immaturity of the infant’s liver, and stress on the liver caused by other health issues in infancy. An infant with neonatal hepatitis has jaundice (yellow eyes and skin) caused by elevated conjugated bilirubin in the blood that appears by one to two months of age. Jaundice occurs when the flow of bile from the liver is blocked due to an inflammation of the liver cells and/or obstruction of the bile ducts. Since bile is essential in the digestion of fats and absorption of fat-soluble vitamins, an infant with neonatal hepatitis may fail to gain weight and grow normally. The infant will also have an enlarged liver and spleen. Neonatal hepatitis is a diagnosis of exclusion, meaning that other known causes of liver disease in infancy must be ruled out. 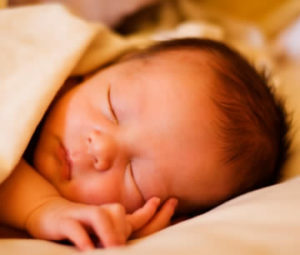 Infants who have jaundice are therefore screened for many possible causes of liver inflammation including viral infections, metabolic diseases, structural abnormalities of the liver and biliary system, and genetic conditions causing liver disease. Many causes of liver disease in infancy are best treated early so testing occurs as quickly as possible and includes blood work and imaging of the liver. Some children may require a liver biopsy as part of their diagnostic workup. If no specific cause of liver dysfunction is identified, neonatal hepatitis is the term used to describe the inflammatory process happening in the infant’s liver. True neonatal hepatitis resolves on its own over time – usually over weeks to several months – and does not require to follow up once there is no longer any evidence of jaundice and inflammation of the liver. Some infants may have evidence of damage (fibrosis) in the liver before everything returns to normal. Usually, this fibrosis is mild and will improve over time as the child grows up. Rarely, damage of the liver will be bad enough that the child requires long-term monitoring and follow up to ensure their ongoing liver health. Once neonatal hepatitis resolves fully, infants are not at increased risk for developing liver disease as they become children and adults. There is no specific treatment for neonatal hepatitis. Infants who are jaundiced have impaired bile flow from the liver; bile is required to absorb fats and fat-soluble vitamins (A, D, E and K). Therefore, while infants are jaundiced, they may require supplementation with fat-soluble vitamins or specialty infant formulas to ensure proper growth and development. Once neonatal hepatitis has resolved, most infants can return to a normal diet and vitamin regime. Sometimes a medication which improves bile flow is also recommended. Can neonatal hepatitis be spread? Neonatal hepatitis is not contagious and cannot be spread to others.